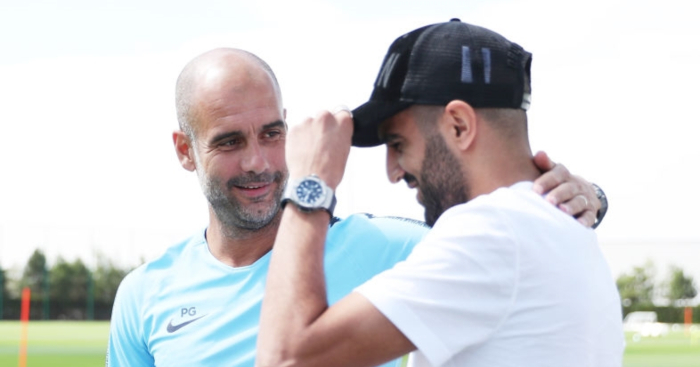 Riyad Mahrez is confident he can take his game to another level after finally joining Manchester City from Leicester. The Algeria winger, 27, has been a long-term target for City, and moves to the Premier League champions on a five-year-deal. The terms of the transfer were not revealed in Tuesday night’s announcement, but the fee has been reported to be in the region of £60million. Leicester said in a statement the deal was a “club-record”. “I am so pleased to have joined City, a side playing great football under Pep Guardiola. Watching them from afar has been a pleasure,” Mahrez said on the City website. “Pep is committed to playing attacking football, which is perfect for me, and City’s performances last season were outstanding. They’re redefining the English game and I wanted to be a part of it.